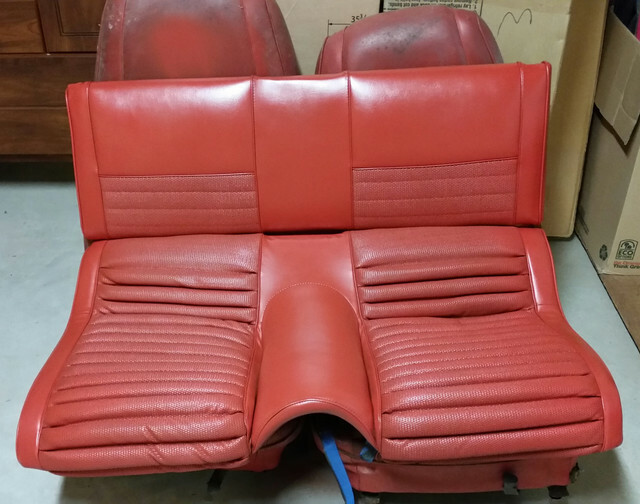 Correct SEM Interior Color for Vermillion? › Correct SEM Interior Color for Vermillion? I am researching what I need to fix up the interior of my 72 Mach 1. My interior is Vermillion, and the plastic parts all need to be painted. I've poked around on SEM's website and can find some interior products but there are different shades of red. 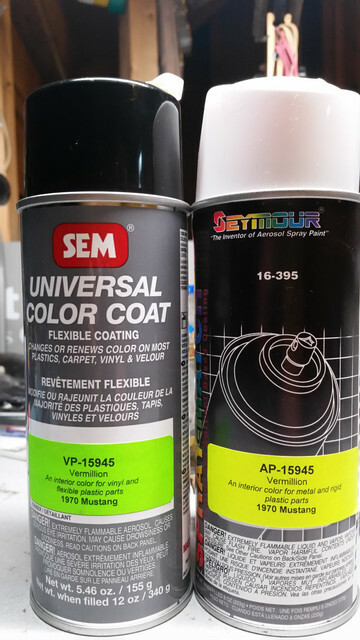 For anybody that has used SEM's products on a Vermillion interior which color did you use? (04-15-2019, 11:22 AM)mjlan Wrote: I am researching what I need to fix up the interior of my 72 Mach 1. I have a 70 with Vermillion interior. I use NPD's Hard plastic/metal and flexible plastic and vinyl sprays. They are a close match and hold up well. The 71-73 version has a different part number than the 70s: 71-73 is: # AP-16050 and # VP-16050. If you have a spray gun. 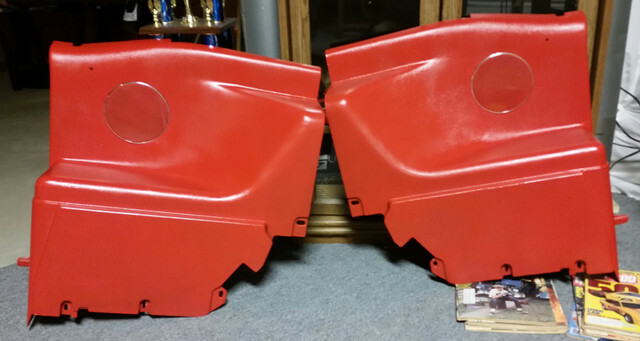 Most auto body supply stores can mix their own brand of vinyl paint in 1/2 pints and up. It may seem expensive but if you are doing a lot its worth it. Spray cans only have about 4-5oz. of color in them. Plus you can get a little black tint if you want to make everything not the exact same shade and most brands can offer different gloss levels. Bring a peice with you. Hopefully they can help you out. This will help you if you or vendor can cross reference Ditzler Color Codes. I think Ditzler and PPG are the same company?